IRt/c infrared thermocouples can accurately control the temperature of rotating and moving stainless steel heaters common in the packaging industry, without touching the heaters. Choose an unused location on the heaters, as close as possible to the surface you wish to measure. Mechanically mount a surface that is reliable for the IRt/c to measure. A black, hard-anodized aluminum hoop, ring, disk, or strip can be used. The surface must be “hard-anodized”. It can be mounted in place onto the steel heaters by using thermal epoxy, small screws, or other suitable mounting methods. This method is very good for “retrofit” situations. The IR target surface can be added right onto existing heaters. This is an excellent choice for OEMs that already use teflon coatings in other parts of their machines. Simply have a teflon coating added to the best target area prior to installing the heaters. For jaw heaters/cutters that “open and close”, attach a small piece of coated metal to each heater head. This strip will come to the same temperature as the heater head as heat is conducted through the attachment point. 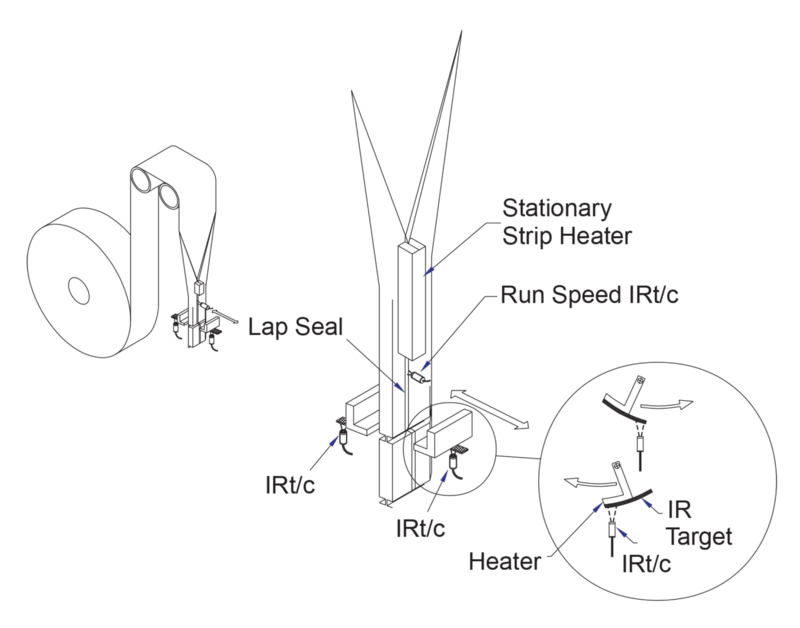 The length of the strip should be just long enough so that the IRt/c sensor constantly looks at the strip during each “open and close” cycle giving a constant update of the temperature of the heaters. 1. During start-up, control the heaters using the sensors directly measuring the heaters. 2. As the machine speeds up, switch temperature measurement for the heater control system to a “run speed IRt/c”. This sensor is aimed directly at the actual fin seal, or lap seal, just after it is formed by the heaters. 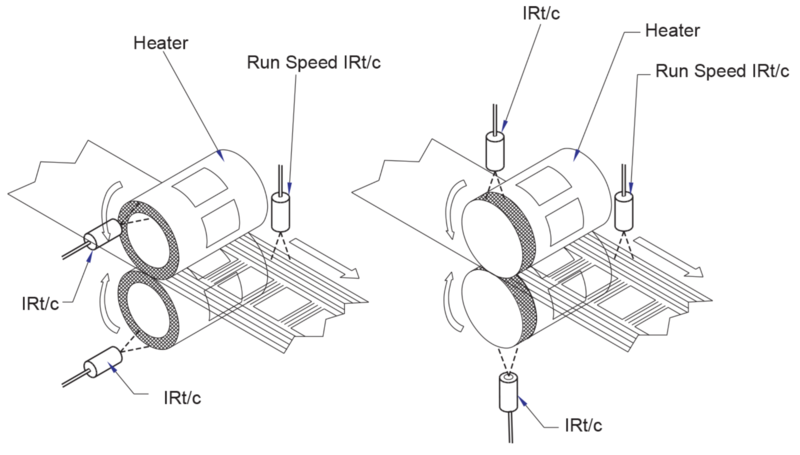 The “run speed IRt/c” will measure the actual seal temperature directly from the seal itself. The control accuracy of this type of high performance system can also allow the use of a wider variety of packaging material compositions on the same machine. The rugged IRt/c sensors need no power supply, and are designed for years of trouble-free operation in industrial environments. No maintenance is required. The sealed IRt/c sensors can even be steam-cleaned. For “dusty” packaging environments, we recommend using the IRt/c.3X or other IRt/c models with built-in air-purge system. With a small amount of air, the sensor window will remain clear. With the Exergen IRtc2132 temperature controllers, even small packaging machines can now benefit from reliable IRt/c temperature control for thermal sealing of packaging. If additional technical assistance is needed, please contact Exergen.